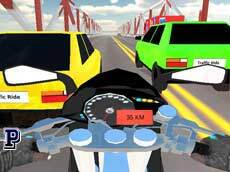 Can you drive your car in a crazy speed on the highway?. 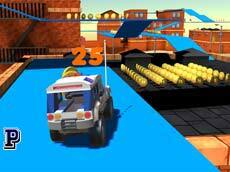 See if you can do the jump from the ramp to the ramp with flight over others cars.... Moreover, you can also find a blue side fence with white vertical stripes which you can hop to get over it and drive in the mountains off the main freeway.